The site occupies a prime location at the corner of Adderley Road (A529) and Greenfields Lane in Market Drayton, a popular north Shropshire market town bordering Staffordshire and Cheshire. Market Drayton is the third largest market town in Shropshire with a population exceeding 12,000 and boasts excellent road networks, only 15 miles from the M6 and 20 miles from the M54, whilst approximately 21 miles north of Shrewsbury (via A53) and 18 miles north of Telford (via A529). Market Drayton is the home for Mϋller Yogurt & Desserts and a number of other established companies with the Town offering a wide range of retail and other services serving a wide catchment area. 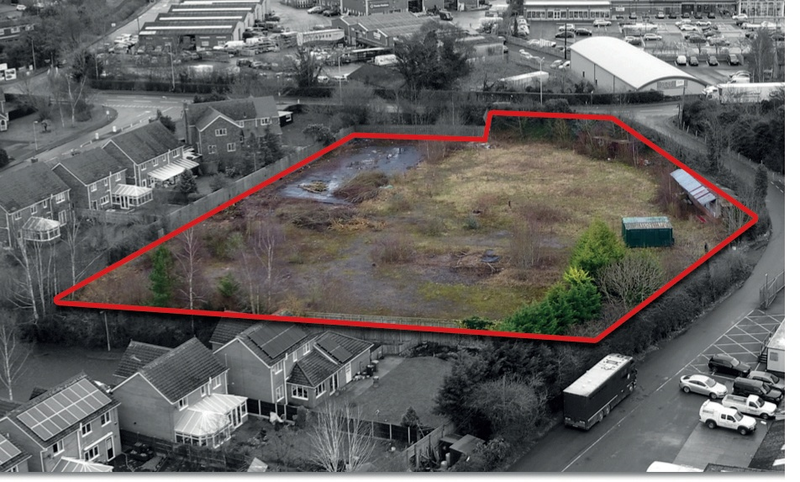 This level and regular shaped site extends in total to approximately 1.55 acres (0.62 Ha) and is located on the corner of Adderley Road and Greenfields Lane within an established and ever expanding residential area of the Town with the construction of the new David Wilson Development only a short distance away. In addition the site is within walking distance of the town centre and local amenities including Morrison’s Superstore with Market Drayton Town Football Club and Market Drayton Tennis and Rugby Club located in the immediate vicinity. The site benefits from outline planning permission granted by Shropshire Council (March 2018) for residential development (Ref: 14/03782/OUT), subject to a S106 Agreement. The site also offers scope for the development of a residential care home/assisted living facility, subject to planning permission. Further details are available from the sole Selling Agents upon request.